>What size needle did you use for the premie hats? >What size needles were used for premie hat templete? >Claudia didn't tell me what size needles to use. The hat sample that I have is knit at 6 sts/inch. I would check your yarn label and use the needles recommended on the band for your first hat, then check the gauge and adjust your needle size accordingly for subsequent hats. >Is it just me or do the the decrease rounds on the templete not work with the amount casted on. >Well, I must admit that I still have not test knit any of these. I thought the calculations were right, but maybe not. I'll dig up some yarn from my stash & try the various sizes out for you. 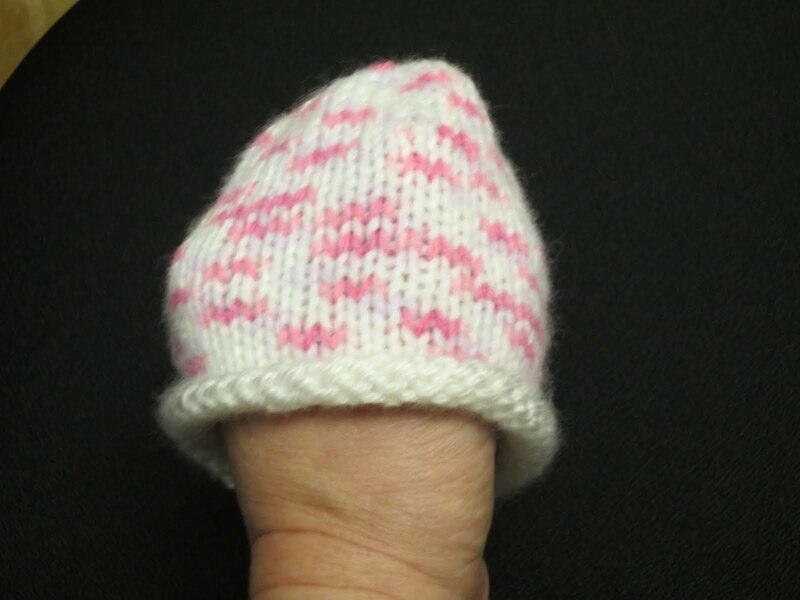 >By the way, which size are you doing – I'll start my test knitting with that size. >I have done some of the 900 gram and 1100 gram hats. I have been doing different decreases then those on the templete which seems to be working better for me. For the 1100 gram hats I cast on 48 instead of 46 to be able to decrease evenly. I am a tight knitter so should still be ok. These have been so much fun to make:). Thank you for posting this and for being a drop spot for them! >Thanks for the post – and for making the hats. I'm not sure when I'll actually have time to make one of the hats, but whatever decreases you use will be fine. The point is to decrease evenly until you have few enough stitches to close the hat at the top. I will try to get a hat or two done over the coming weekend, and I'll post more here. >Thank you for this post. I plan to make many. Was there a decision on a good size needle to use? I understand worsted yarn is a better choice, as it is warmer for newborn heads. >I have had a couple of questions regarding which size needle to use. The template is for DK weight yarn (6.5 sts/inch), so generally the needle size will be US 5-6 (3.75-4mm). The decrease instructions definitely do not work for the number of stitches cast on. You are absolutely right!! I’m surprised that no one has noticed this before. You can simply do one stitch less after each K2tog than is typed. E.G., for the smallest size, do K2tog, K5 on the first row instead of K2tog, K6… I’m not sure when I will be able to update the actual chart, but I will try to correct it as soon as possible. 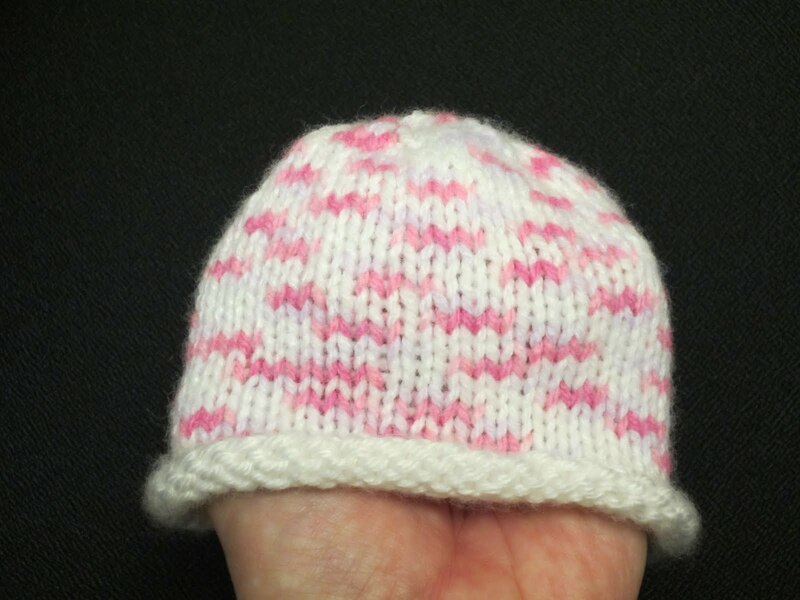 Carla – Here is a link to the correct page for the preemie hat template! Thank you, Laura for your quick reply. However, I still cannot find the template itself. DK knit, perhaps a 68 stitch cast on and a better decrease is all I’ve managed to eek out of the comments. And from your remark above, it sounds as if you have a chart. So my question is ~ where may I find the chart? We’ve several hospitals with NICUs nearby. I know they would be grateful for any preemie hats donated. EEK! I didn’t realize that when we transferred our blog last September that the chart disappeared. I have added it to the post again, so you should be able to view it now. Unfortunately, I cannot get the separator lines to appear, so I hope it is understandable. Well, aren’t you the sweetheart! Thanks for taking the time to find the pattern and then repost it to your site. I do appreciate it. These will be fun little projects, and very useful! Were you able to come up with a crochet pattern? I work at Children’s and shared this will my department and some of the staff have asked for the crochet version, Thank you! Thank you so much! I will pass this along.